DISCLAIMER:- Please carry on reading this article if you think logically and understand. PLEASE DONT READ is you are the new Gandhians. If you are one of those people who will not listen to One wrong word against the country PLEASE STOP NOW, I am sorry.. This article is not for you, or for those who have one single track mind.. All those who think our country has nothing wrong ALSO STOP READING NOW. Yesterday it was the 26th january .. the day our nation became a Republic, I deliberately this year did not record any of the programs that I usually watch, Now for some reason watching all that makes me sad. It reminds me of what it should be and what it is .. I was watching the movie Rang de basanti and it starts with the lead lady who wants to make a documentary on the freedom fighters of our nation, she goes into a meeting to get funds and the project cleared , Why i am typing this is because there was a GREAT dialogue which got my attention and which left me thinking the guy and the lady say that if she Should forget making the documentary on the revolutionaries but instead makes a documentary on GANDHI.. the exact words were “GANDHI SELLS“.. and so very true it is that’s all that sells in our great nation .. just GANDHI and that’s what has been selling since ages. We are so blind to even see it. I bet that was SOLD yesterday too in New Delhi. Today was the first time in all my life for as far as I remember I did not watch any of those lies being told by our leaders all over the country, we sit and listen hoping that This time maybe JUST maybe the guy behind the microphone is probably telling the truth. It is a shame that during all those lectures and promises none of the people are remembered, who made this dream come true , the dream of celebrating the republic day of a nation, the ones who are the GIVERS of this dream to us.. WHICH IS GOOD. I am happy they are not remembered. They don’t deserve the embarrassment of being talked about by the corrupt leaders. I read a lot of blogs and articles today where a few have written how people felt emotional listening to the patriotic songs .. it is such a pity that all this JOSH and patriotism comes on the ONE day and /OR maybe on the 15th august too.. the rest of the days we don’t give a damn about anything going on. As I am writing the scene comes where the guy comes in stopping the people jiving to the western song, having a drink dancing etc. in the movie telling them how indian society is screwed up and has a go at one of the friends who is a muslim and the other two jump in to save their friend .. and then says JAI HIND when he leaves.. exactly JAI HIND and that is by shouting, is that all we can do say jai hind and is that all .. is our job done by just saying it.. .
As I wrote in the comments at a few blogs I seriously think we need the british to come back to rule us all yet again , We don’t deserve this freedom. AT least when british ruled us we knew who the enemy was but this freedom this independence has brought a lot of enemies, our very own people are the enemies now.. they have raped us again and again .. every 5 years they come and we smilingly and happily stand there NAKED.. to be taken for a ride for another 5 years .. I don’t know how many years more will it need for us to wake up .. its been 65 years since the Independence. A lot has been going on politically in our nation for the last few years now but as usual all those rays of hope have slowly gone, with everything coming up everyone is the same , each one of these Khadi wearing people (I hate to say leaders), they think wearing pure white clothes will make them pure , they forget that all that their WHITE is full of BLACK – RED – GREY.. all those Dark colours .. There is not a single leader who is genuinely interested in the welfare of the nation, each one of them has a hidden agenda and the BEST thing .. the BESTEST part is that in spite of knowing it all we still worship them .. OH yes I forgot the GANDHI FACTOR.. true people .. SO true .. the dialogue that I mentioned in the start that GANDHI SELLS .. Well it does isn’t it .. the so-called Gandhian TOPI.. The Khadi the White and all that IT SELLS and sells a LOTttttttttt. I am amazed at what educated people have to say, when I talk to them about the nation , their reaction is either a shirk of shoulders or don’t know attitude, this is a sad scenario BUT I am still ok with that maybe we can teach them but what about the people who go on and ON and Onnnnnnnn about how great our nation is, how this and that REALLY.. GIVE it a conscious thought, Give it a logical thought, Think for once in your life . Open our mind …. and WORK towards it. We owe to it to those people who brought us this freedom WHO put it in a PLATE for us but we have been so arrogant that we just did not bother to hold that plate parallel to the ground , rather we turned it upside down and let it all fall to the ground. Furling the national flag, singing the national anthem is not gonna achieve that. We have to start to WORK on making it better. We need to face the REALITY, till we do that nothing can be changed the first step to start changing or rectifying a PROBLEM is to Accept there IS A PROBLEM… if there is no problem then what are we rectifying NOTHING. Lets forget about these leaders, just ignore them, so what if a foreigner said india is dirty SO WHAT.. if it felt bad then maybe you should have gone and cleaned the place .. HECK I would do that I may not have the guts to go and die for the country but I can go and clean the place and I have done it .. The work on making the country a better place has to start, If each of us take just a couple of hours out of a week it can work wonders. The problem is we will not do anything, but the moment someone says this is wrong , that is wrong we all attack them like a swarm of bees.. What we DONT Do is try to rectify the wrongness. Lets all get together and for once, give a thumbs down to politics/politicians/leaders/khadi clad people , instead of wasting our time listening to them – following them -worshiping them, Do something for the nation, just one thing a week, and do it with all our heart. Each one of us , thats a billion people doing one thing.. thats a BILLION things happening each week. Let bring the dream back again which is SAARE JAHAN SE ACHA .. HINDUSTAAN HAMARA . Posted: November 14, 2011 in India, Inquilab, My Thoughts. 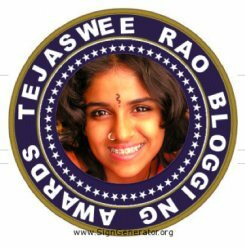 In india the 14th of November is being celebrated as the children’s day , A lot of you have already read my views on the day , and how I feel that it needs to be changed to another day rather than it being associated with the Birthday of a politician Nehru. But lets not talk of all that on this day .. After all its children’s day so Happy children’s day to All the kids , you have fun all of you ..
Over the blogosphere I have met so many bloggers who have beautiful kids , I know a few Buzz , Chirpy , Bably , R., the Twins and many more so to all of them have a great day.. DO your parents proud..
Now coming to the point On this day let me tell you about a fact that not many know of and its sad that our history writers have not done anything to bring it to the limelight as they are all too far into the likes of Gandhi and Nehru’s .. to these writers others don’t exist .. This fact also brings out the intelligence of one of the well-known martyrs of indian independence Shaheed Sardar Bhagat singh and his comrades ..
During the early organizational work being done by the martyrs was the efforts made to politicize School students, The Naujawan Bharat Sabha also formed a BAL BHARAT SABHA.. and BAL STUDENT UNION which were an organization of school children of the age 12 to 16 years old , and it had a high number of members who actually worked hard for the independence of India. Baldev Raj the grandson of Lala Lajpat rai was secretary of the Bal Student Union.. and Kahan Chand was the president of the Amritsar chapter of Bal Bharat Sabha. Kahan chand was a mere 11 years old when he was sentenced by the british to three months of rigorous imprisonment..
Yash another young activist was also found guilty of assisting the Lahore city unit congress and Naujwan Bharat sabha, he was only 10 at that time.. He later grew up to be editor of the Urdu daily MILAP. Jagdish Chander During his school days was caned by Headmaster for wearing a Gandhi Cap. He joined Bal Bharat Sabha and later on joined naujawan Bharat Sabha and was known as “SHASRTI JI” among his colleagues. Participated in Bhagtanwala Bank Robbery and Kanari Bazar Dacoity case along with Jahngiri Lal, Dharam Paul, Lajpat Rai and others. Spent almost 5-1/2 years in Jails namely Delhi, Ferozepur, Gujrat, Multan and Hoshiarpur. Was appointed as Confidential Enquiry Officer, by Punjab Congress Committee to go into atrocities committed by police in West Punjab from 1942 to 1945 and was advisor of Congress on students affairs and had been Secretary of Socialist party in 1942. As many as a total of 1192 juveniles under the age of 15 were convicted for some reason or the other in regards to there political activities, Most of these activists belonged to bengal. Not much has been written about these dare devils who at such a young age went on to fight for their nation. If anyone knows about other kids please do let me know too. So today on children’s day lets not forget these forgotten children who went through all these troubles for the nation which has forgotten them. Have a great day to all the kids out there , Enjoy your day and have fun.